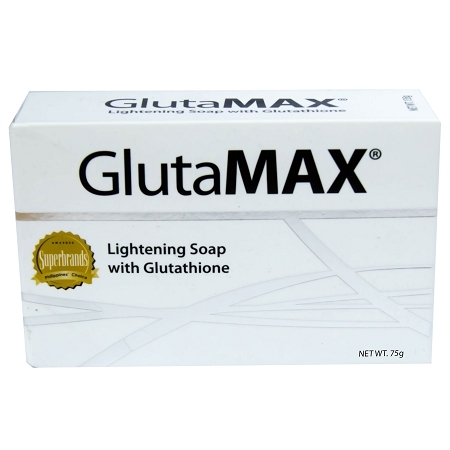 Home > Skin Whitening Products > Skin Whitening Soaps > GlutaMAX Lightening Soap with Glutathione - 75gm - Great for all skin types! 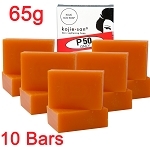 Get light, clear skin with this Glutathione & Salicylic Acid beauty bar! GlutaMAX strives to bring innovative nutraceutical products to market that deliver solutions for preventive health and aesthetic needs. 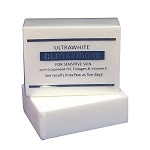 - Premium skin lightening product formulated by experts using advanced technologies to safely provide maximum results. - Powerful whitening from Glutathione..
- Mild exfoliating texture sweeps away rough patches and dead skin cells to reveal fresh, fair skin. - Gently lightens uneven skin tone and discoloration while revitalizing and restoring the youthful vibrancy of your skin. - Visible results in as few as 4 weeks of continuous use. Maximum results achieved after 12 weeks. - Signature GlutaMAX fragrance for a refreshing cleansing experience. Instructions: Use GlutaMAX to wash face and body. Lather for at least 3 minutes then rinse well. Pat dry with a clean towel. Store in a soap dish with cover. Use with other GlutaMAX products for best results. I can see the improvement already!